Originally Aged Foot Care, the name and brand no longer communicated what the company stood for and the lives of the people it touched. 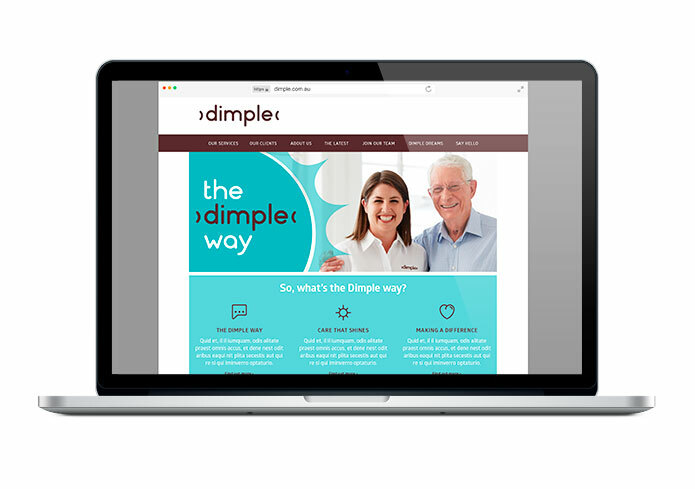 At a functional level, Dimple provides podiatry services to aged care facilities but the business offers so much more and wanted to be known for inspiring ‘happiness’. The rebrand needed to help the business communicate its tangible and intangible benefits whilst ensuring it remained highly regarded as a professional services organisation. After speaking with internal and external stakeholders we learned quite quickly that there was something different about this business. It demanded that we create a brand strategy that cohesively brought these elements together and focussed bring to life ‘care that shines’ in the new brand. 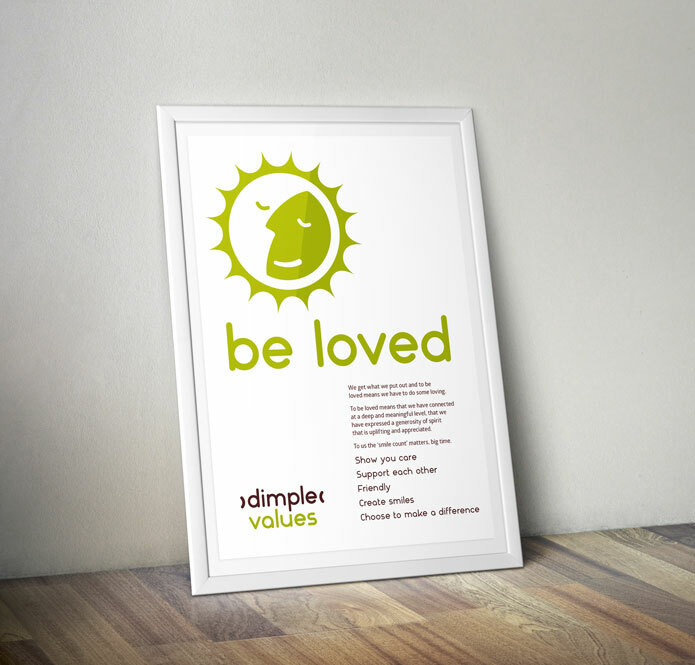 What followed was a business name that beautifully communicated this, Dimple, an exclamation mark on a smile. 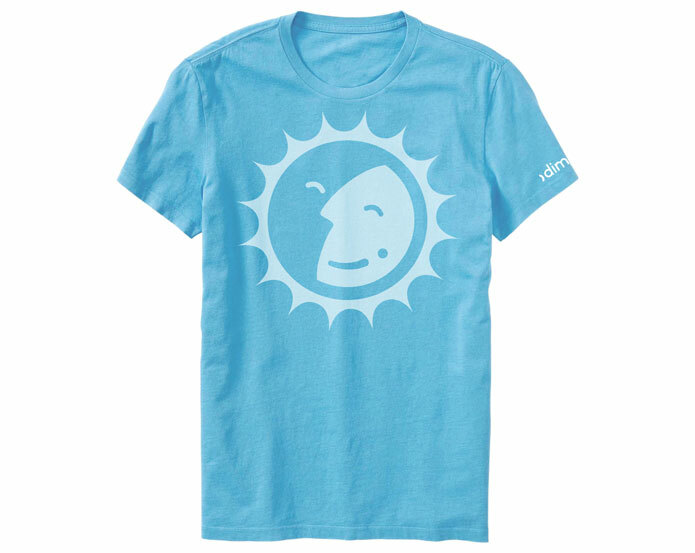 A brand name that would direct the business and something that their employees could be proud of. 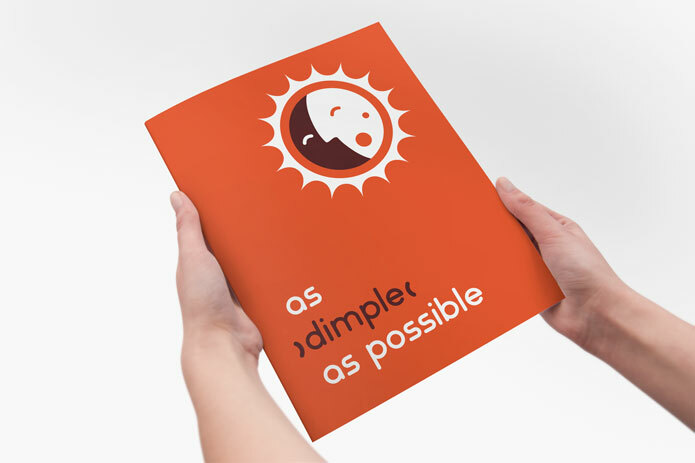 A simple friendly brand identity was created that centres around the dimple type-mark. 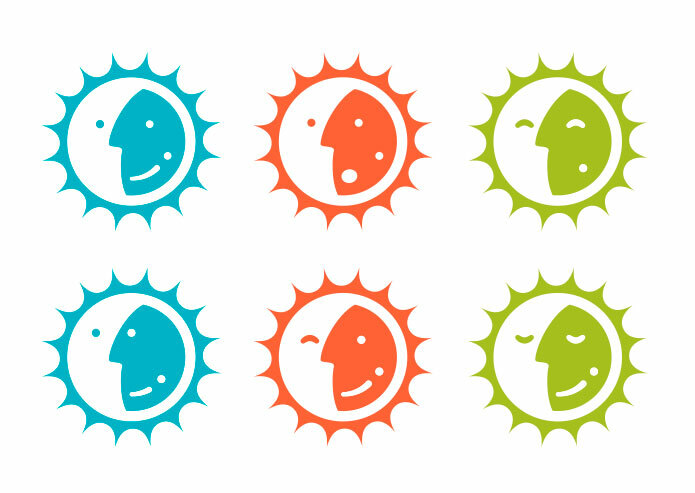 This is accompanied with a bright, optimistic visual language that can be dialled up or down depending on the communication. 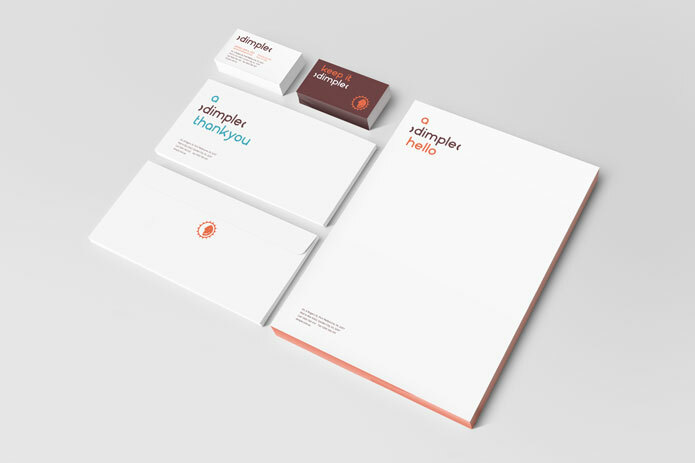 A flexible brand identity system, it represents a modern personable and professional care business with the ability to be dialled up when the brand becomes the socially active organisation it strives to be. 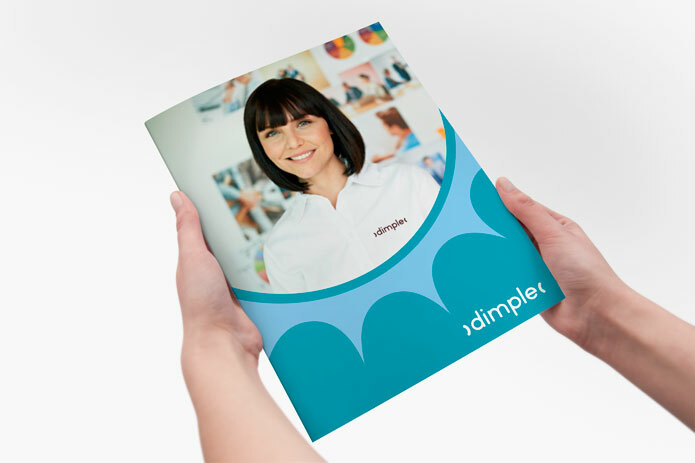 Want to know how we can help grow your business through rebranding? Stakeholder research, brand strategy, naming, brand identity design, culturalisation presentation, website design, direct mail. 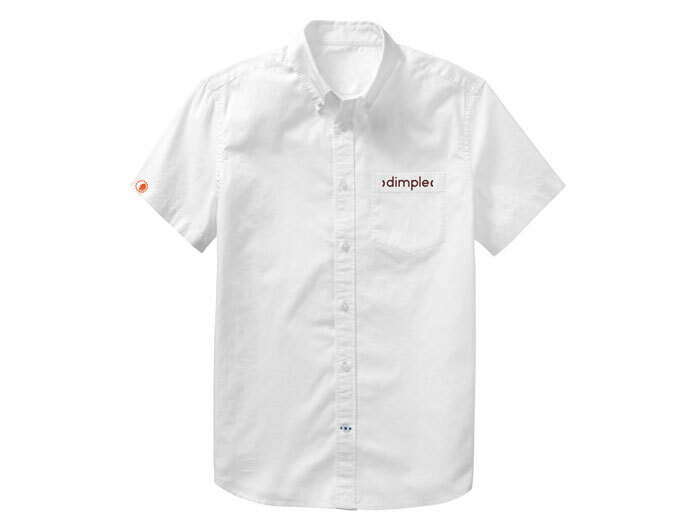 The new name and brand identity united and re-energised the Dimple team. The new brand strategy and identity provided a framework to reassess their entire business and inspired a series of business innovation initiatives. 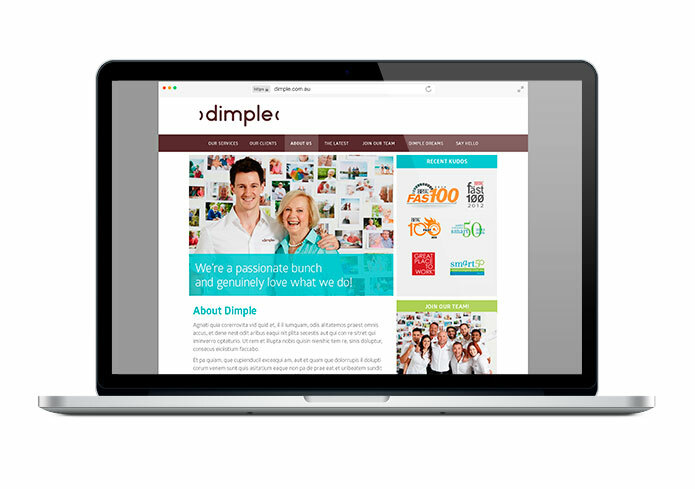 – Damien James, Founder & CEO, Dimple Care.